Bio: In 1980, at 42 years old, Horace Champagne left a successful business life in commercial art and advertising behind him to devote himself full time to art. Educated in Montréal, Ecole des Beaux-Arts, Ottawa School of Art, and in the U.S.A. with Charles Movalli, and Daniel Green. Now living on Ile d'Orléans, Québec. Subjects: Landscapes, Still Life and Interiors. Navigation: Bi-lingual site. Choose between English and French on index page. Main menu remains available on all pages. A really nice site, its only flaw being lack of data on dimensions of original painting in the English-accessed galleries. However, the big surprise is that the paintings accessed via the French version are almost totally different from those in the English site - there is very little overlap. I'm glad I checked! And in the French galleries, dimensions are given. How mischievous, Mr Champagne! Image View: Each gallery is shown as a slideshow of images. There are no details as to size of original painting in the English galleries. Downloads are permitted. The featured iceberg is 510x381, 304 KB. Navigation: Main menu remains available on all pages. Very easy to navigate all pages including galleries where all options remain open. Image View: Thumbnails enlarge on new page. Details on size and medium given for both thumbnails and enlargements. Images may be saved. 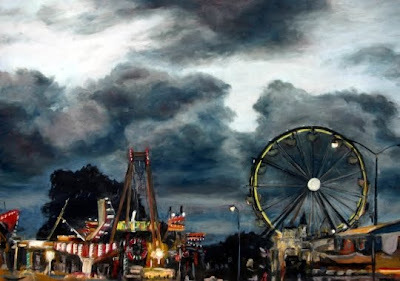 “Twilight at the Fair” is 540x379, 170 KB. Blog: Not as such, but her “News” page fills much the same function. 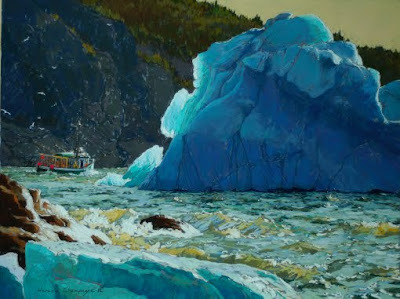 Bio: Helen began her art career working in oils and taught the Gloria Foss Color Course in oil painting for five years. 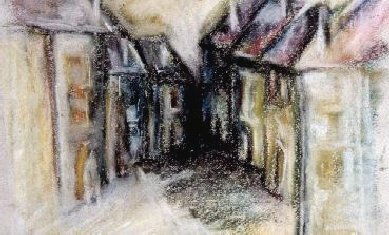 Her focus shifted to acrylics and pastels, eventually adding watercolour. She is an honorary life and signature member of the Hawaii Watercolor Society. 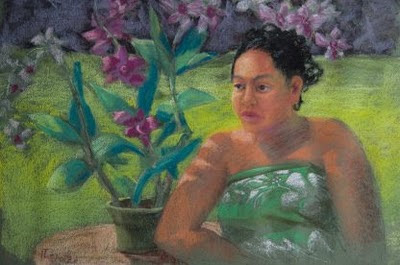 In 2001, Helen was instrumental in forming the Pastel Artists of Hawaii, a nonprofit group dedicated to the advancement and awareness of soft pastels and is a signature member. 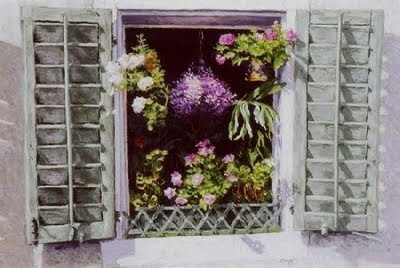 Subjects: Portraits, landscapes, still life, floral. Navigation: Main menu remains available on all pages. Gallery: Two main galleries, Pastel, and Watercolour, each subdivided into: Portraits, landscapes, still life, floral. Image View: Thumbnails enlarge on same page. Details on size and medium may be given – or they may not. This aspect of the site is not consistent. Images may be saved. The painting shown here is 416x276, 28 KB. 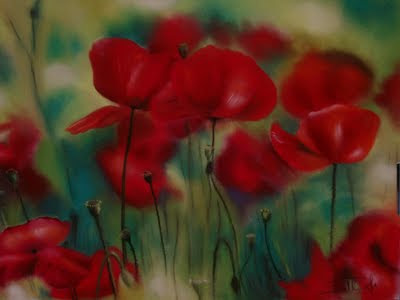 Bio: Boulmé met master pastellist Alain Victor in 1999 and took lessons from him for five years. Subjects: Land and seascapes; Portraits, Animals. Style: Representational. 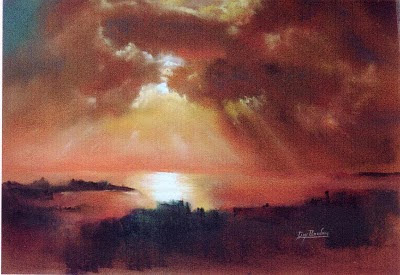 His skies, especially his sunsets at sea, are remniscent of J. W. Turner. Navigation: French site. Main menu remains on left, on all pages except the galleries, where navigation buttons in the form of arrows are self-explanatory. Gallery: Animals (Animaux); Portraits; Seascapes (Paysages Marins); Still life (Natures Mortes); Landscape (Paysages); Various (Divers). Image view: All thumbnails enlarge on same page, and may be saved. No data on original dimension. File size can be 800x550, 88 KB. It is clear that many of the paintings were photographed after being framed. For an object lesson in how not to photograph your paintings, see this image. Subjects: Portraits, figures, still life. She is internationally recognised for her portrait work. Style: Representational. Gwenneth Barth is among my top ten pastel artists. Navigation: French site with English version, but the English site is not available unless your web setting allows you to see the whole page. If you can’t see the welcome banner on the top, click on F11 to view the page without toolbars. Main menu does not remain on all pages, but it does not affect viewing of galleries. Gallery: Oil Portraits, Pastel Portraits, Paintings, Figures. Image view: All thumbnails enlarge on same page on mouseover. Clicking on thumbnail enlarges it further on new page. Close image to return to gallery. Images are viewed in Adobe Flashplayer. Demo: No, but she does have a teaching DVD available. Bio: Greg Biolchini lives and works in Southwest Florida, with studio and teaching space on the Caloosahatchee River in North Fort Myers. He holds ongoing workshops in pastel, oil, and portraiture in his teaching studio and for art groups throughout Florida and the US. Subjects: Portraits, figures, landscapes, nature. Navigation: Main menu remains on all pages. Gallery: Arranged by subject, not by medium. Image view: All thumbnails may be enlarged. The enlarged image appears in new page with full details, and artist’s commentary. There may be a further enlargement to view detail. File may be saved. File size up to at least 717x763, 69 KB. Demo: No, but he does have teaching DVDs available. Bio: Glenn Bernabe Born in Manila, Philippines, September 2, 1971 and is now resident in Markham, Canada. He is a graduate of the Ontario College of Art and Design, where he studied illustration. He has worked as an illustrator with several publishing companies like Scholastic Canada and Cobblestone Publishing. 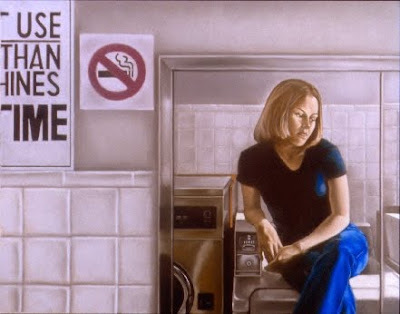 Subjects: My paintings use everyday situations to show quiet moments that suggest ideas surrounding individuality, purity and spirituality through the use of banal settings from our world. My purpose is to show that on the surface what may seem like loneliness, there is hope and it is beautiful, peaceful and bliss. Navigation: Main menu remains on all pages, except when you click on Blog. Gallery: Under the tab Figurative. Blog: Yes, since September 2009. Link is on site. Ebay: No. But Twitter and Facebook! Bio: Born in Rome in 1968. Primarily self-taught, later studied painting and design in the Roman School of Modern Art and the Libera Accademia di Belle Arti, among others. Style: Representational. 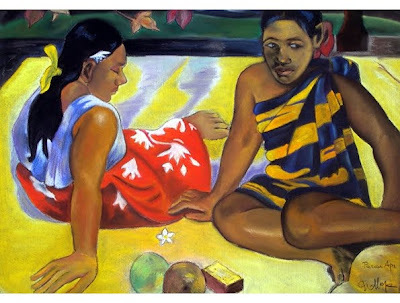 Some of his work is in frank ‘homage’ to Toulouse-Lautrec, Gauguin, Monet, and Hopper. Navigation: This site is in Italian but the navigation is easy if it’s just the images you require. Gallery: Under the tab Galleria you will find four main galleries, pastello, olio, acquerello, and tecnica mista, which are self-explanatory. 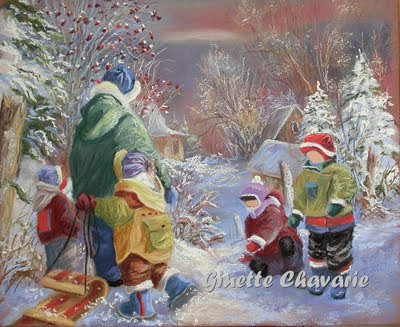 Bio: Ginette Chavarie lives in Jonquiere, Quebec, where she has painted for four decades. She has recently made the transition from pastel to acrylic. Subjects: Characters and scenes from daily life. Style: Illustrational, imagined. Her characters are faceless so as not to impose an identity on the viewer. Navigation: The site has English and French alternative links on the index page, but the English link is not ‘live’. Clicking on the French link opens a new page. Main Menu stays on top of some pages, but disappears if you click on Presse or on Album souvenir which is allegedly under construction. Gallery: There are four galleries. 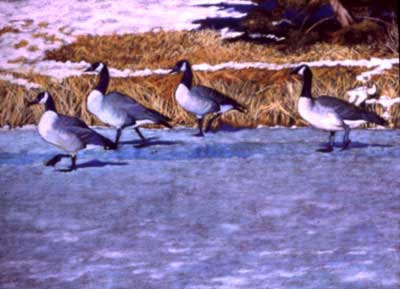 Bio: 1998 - Signature Status with the Pastel Society of Canada. Navigation: This website is now powered by blogging software. Gallery: Original paintings for sale; Sold paintings gallery; Small studies gallery. Image View: Thumbnails indicate dimension or medium. Images enlarge in a pop-up window and may be saved. Demo: No. But there are painting tips. Blog: Yes - a link within the website. 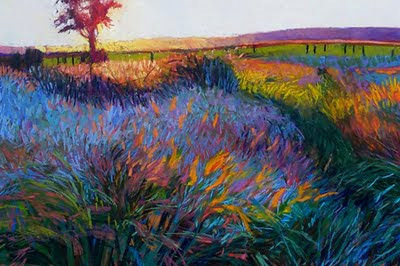 Bio: Gary Wick is a Chicago born artist who works with soft pastels. He is primarily a studio painter preferring to work from his own photographs. Gary has been involved with art since childhood and basically is self taught. He has studied with professional artists over the years and has taken classes at the Art Institute of Chicago as a youngster when he was recommended by one of his elementary school teachers and again after he returned from Vietnam for a period of time. In 1998 Gary became a displaying art member at The National Vietnam Veterans Art Museum which is permanently located in Chicago, Illinois. Navigation: Main menu remains available on top of all pages. Gallery: Portfolio: 2009; Waterscapes; Barnscapes; Landscapes; Skyscapes; Still Life; Trips. There may be multiple pages or sub-galleries under the main headings. Navigation: Main menu remains available on left side. Blog: No but one can subscribe to an email newsletter. NOTE: As of January 2012 this URL seems no longer to be active. However, the URL for the blog still works. Bio: Born in Paris, 1942, where she lives and works. She has exhibited widely, including Chicago and Los Angeles. Publications: At least six considerable gallery catalogues. Navigation: Site is in French. Main Menu remains available on top once you enter site. Site last updated 2009. It is maintained by her gallery. Gallery: Under the link Visite you will find Themes (subjects) and Categories (media). 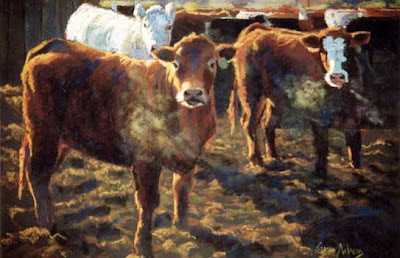 There are only 18 images under the two pastel categories, and most of those are studies for her oils. But these are masterly works. And don’t neglect to look at the oils as well. Image view: All images can be enlarged to give title, medium and dimension. Bio: High points of Art Education: California College of Arts and Crafts, Oakland, California; BFA With Distinction in Drawing; The Art Students League of New York; National Academy School of Fine Arts; Daniel Greene Workshop. Gallery: Five pages of thumbnails. Image view: All thumbnails can be clicked on to enlarge. Enlargements can be clicked on for details. Images can be saved. Demo: No. However, she has posted some interesting published writings on her site. 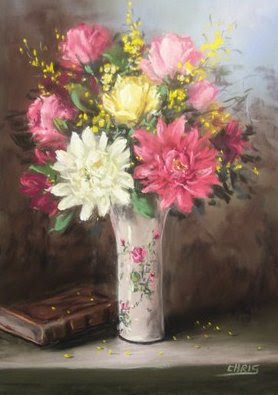 Bio: Ellen's painting and pastel technique is self taught; she likes to come up with her own way of applying media. "When I paint, I generally paint fast," she says, "just letting it flow out of me. It feels like I don't know what I am doing most of the time." Apparently few people believe that. Her work has been featured in Southwest Art Magazine; shown at Portland's Real Mother Goose Gallery, Columbia Art Gallery, and Earthworks Gallery. Navigation: Each gallery opens on new page, while home page remains available. Gallery: By year from 1999 to 2008. Acrylics take over from 2007 on. Image view: To see a larger version of any picture, click on the thumbnail to enlarge – information on size and medium is not consistent. Images are viewed in Adobe Flashplayer 10. I thought it worth the trouble to post a painting here. This is a unique vision. 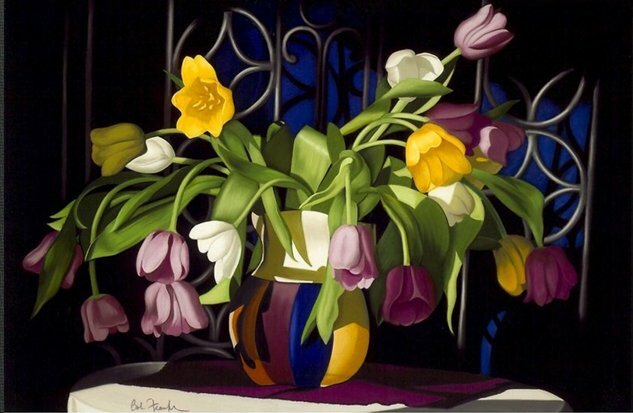 Bio: Ed Chesnovitch, a Stroudsburg-Pennsylvania-based artist, is a graduate of the Art Institute of Pittsburgh and has studied extensively at The Art Students League of New York, and the Cape Cod School of Art, Provincetown, Massachusetts. 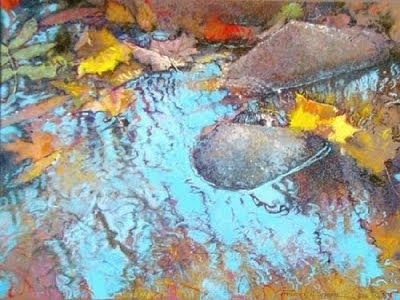 He is an elected member of the Pastel Society of America and a juried Signature Member of the Pastel Painters Society of Cape Cod. Navigation: Main Menu remains available at bottom of all pages. Gallery: A single page, filmstrip view enables by Adobe Flash, so no download possible. Bio: In February of 2002, Dustin Van Wechel left a successful 8-year career in the advertising industry to pursue his true passion, fine art, full-time. 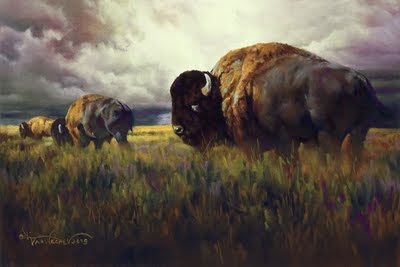 Since then, Dustin has won numerous awards including the prestigious 2004 Wyoming Conservation Stamp Art Competition, the Wildlife Award and Teton Lodge Company Award at the 2006 Arts for the Parks competition . Gallery: Available works; Archived works. Image view: To see a larger version of any picture, click on the thumbnail to enlarge and get full information. It can be enlarged again in pop-up window, and can then be saved. File size considerable, the bison painting is 720x480, 147 KB. Bio: 1974 Boston University School of Fine Arts, M.A. B.F.A. in art education. From 1974 to 1997 was Art Instructor in Rockland Public Schools. Member of the American Pastel Society. Gallery: About thirty thumbnails on Portfolio page. No information provided at this level. Image view: To see a larger version of any picture, click on the thumbnail. It enlarges in Adobe Flashplayer, i.e does not download. Data on image, dimension and medium. Bio: Born and raised in Berlin, Germany, Daggi came to the United States in 1979 at the age of sixteen. Having had her first painting lessons at the age of five, she continued drawing and painting through childhood into adulthood. 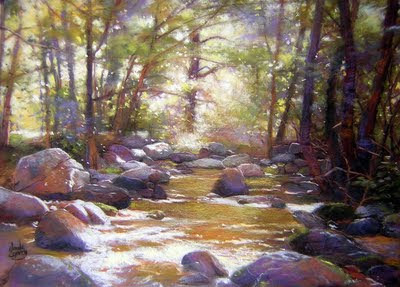 Primarily self-taught she continues her studies through workshops and classes by nationally known artists. 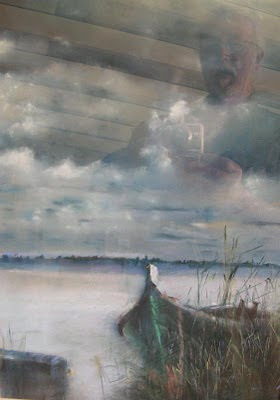 Subjects: Landscapes, Still Lifes, Figures and Portraits. 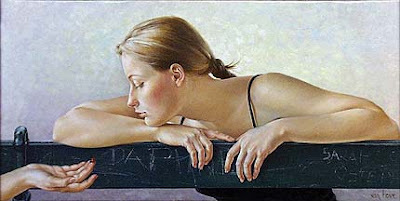 Gallery: Portraits, Landscapes, Still Lifes and Floral, Figurative, New Works, Archive, Surfers, Musicians. Bio: Colleen grew up in St. Paul, a small town in central Nebraska, named for her great-grandfather. After moving west to Colorado, she graduated from the University of Colorado with a BFA. 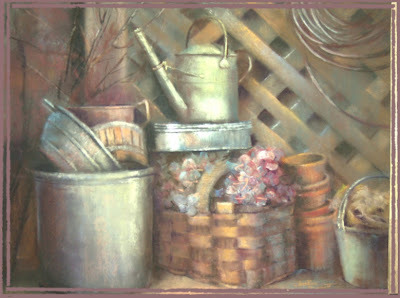 Following several years of working in colored pencil and watercolor, Hoerner switched to pastel a decade ago and has worked in the medium ever since. Bio: Claude Carvin was born in 1956 in Marseille. He pursued a course in arts at the Beaux Arts d'Aix-en-Provence from 1972 to 1976. 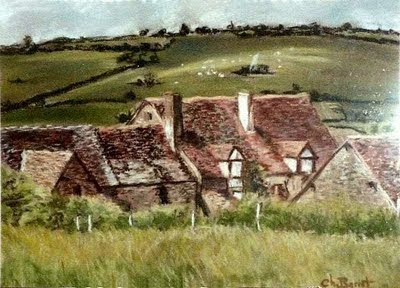 He moved to the Ardèche in 1992 where he has exhibited regularly, and he has contributed to national and international exhibitions. Attracted at first by painting in oil, Claude Carvin has pointed himself for some years towards pastel, a tool that allows for more spontaneity and the instant translation of emotion experienced. 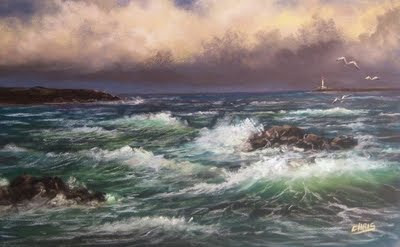 He now works in pastel, oil and mixed media that allow greater creativity, and Alla Prima acrylic. 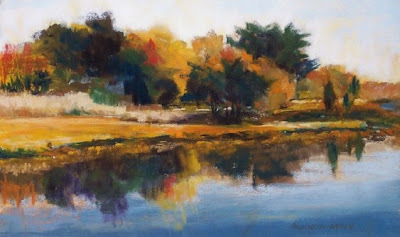 Subjects: In pastel his subject matter is primarily landscape. Navigation: Website is in French. The Main Menu remains accessible on the top of the page. It is easy to follow. Bio: After attending Marthenot Serge Lapeyre workshop in Fine Arts, Christine Dumont discovered Pastel with Jacqueline Bouvier. She then worked for several years with Claude Texier (Master Pastellist PSA) also at the same time took drawing lessons with Philippe Autefage. Style: Representational, romantic – Texier’s influence is evident. Navigation: Website is in French. Click on painting on index page to enter site. The Main Menu remains accessible on the top of the page from then on. Gallery: Mes oeuvres opens a page with a choice of four galleries: Natures Mortes (Still Life); Portraits; Paysages (Landscapes); Animaux (Animals) . Each gallery may have several pages. Image view: Each thumbnail will enlarge to a good size, but there is no data on original dimension. Right click is disabled. Bio: Christine Barret was born in Burgundy, and is now living in Brittany. She is self taught. 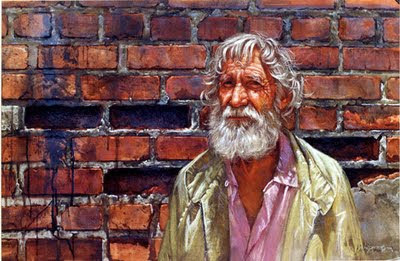 She has exhibited since 1992, and has won prizes for her pastels in national competitions in France. Navigation: Each link on the Main Menu opens a new page – it is necessary to click on retour on the bottom to retuirn – or just hit “return” on the keyboard. Site last updated January 2008. Gallery: There are two galleries, one called galerie with five images, the other called commandes with three images. Image view: Each image is large and cannot be increased in size. Right click is disabled. A knowledge of html will get around this. 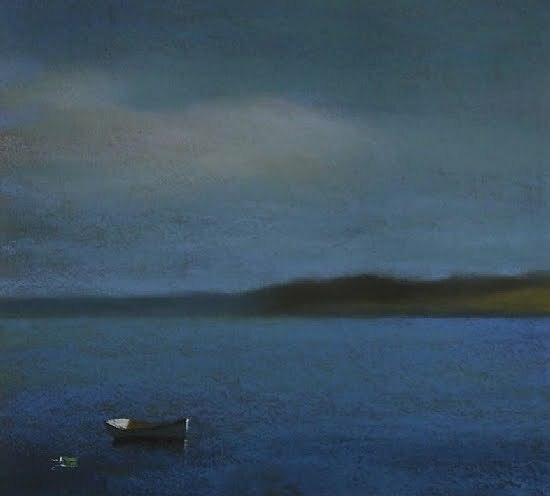 Bio: After training as a painter-decorator, Christian Serrurier began painting artistically in 1967 and exhibited as an amateur in the '80s. 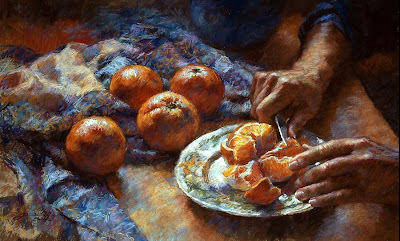 He turned professional in 1990 and he concentrated on oil painting until his meeting in 1996 with Jean Pierre Merat, Master Pastellist and President of the Society of French Pastellists. Maître pastelliste de la Société des Pastellistes de France, Chris est fidèle à l'esprit de la peinture flamande et fasciné par la magie surréaliste de Dali. Il a su élaborer un style exotique et singulier. De l'art flamand, il a gardé le sens des valeurs, la vie des choses et le rendu scrupuleux du détail. Sa soif de lumière et de sensualité le fait interroger le clair-obscur et donne libre cours à son goût des tons modérés et à une certaine forme de naturalisme. Subjects: Seascape, still life. Some of his florals have been reproduced by the Aubusson tapestries. Navigation: Facile. Main menu remains on top and bottom of page. Image view: Gallery thumbnails are on a serial slide show; they enlarge when clicked to give details of size (centimetres – the website is French); they may be saved. File size up to 640x400, 53 KB. Bio: Carolyn Caldwell is a painter and pastel artist living on Deer Island, Maine. She studied photography and art at University of Montana, San Francisco State and Université de Strasbourg. She received a degree in Architecture from Boston Architectural Center and moved to the Caribbean where she designed houses for 16 years. 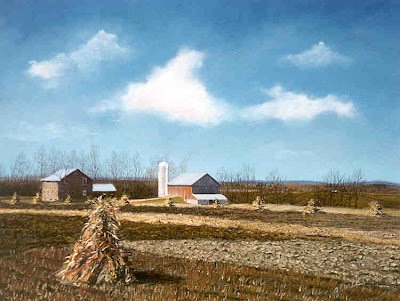 She returned to painting in 1987. Subjects: Landscape, seascapes, still life. Gallery: Elements series; Recent pastels; Fields to the sea Oils; Bay Island series; Low Light, Coastal Landscapes, Foreign Soil, Lobsterville, Fields of Light, Caribbean. Image view: Gallery thumbnails enlarge on new page to give size, medium etc. One can move backward or forward serially through the enlargements, and clicking on the enlarged image opens it again in pop-up window, where it may be saved. Blog: Musings from the studio of life. Navigation: Professionally designed site. Minimalist. Follow the “galerie” links, which are stylised icons of pastel strokes. Image view: Thumbnails (no data on size) enlarge on new page. Images may be saved. The most recent date from 2004. Navigation: Professionally designed site. Main menu remains on top of page at all times. Image view: Thumbnails (with data on size) enlarge on new page with a filmstrip view. Images may not be saved. Nineteen to One is 24 x 36 ins. Bio: Classical training 1958 -1963 Julian Academy and Beaux-Arts de Paris. Navigation: Website is bilingual. Click on the Union Jack for the English version. Immediately beneath the update is a flashing arrow pointing at a very small typeface that one clicks for paintings put on line 2009; below this is another line with 2008, 2007 and 2006-2005. You need to squint, or turn up the print size (ctrl+ will do it, but don’t forget to reverse the process with ctrl-). Gallery: Use the dates, as above, or click on the thumbnails to enter the nine other galleries, which may well contain sub-galleries. Not all the images appear in their placeholders. It’s all a bit complicated. Image view: Thumbnails enlarge on new page to give dimension and medium (in centimetres – this is a French site). They may be saved. Files sizes up to 624x418, 72 KB.